OK, have reviewed the new drawing (thank you Bob... )...but have a couple more questions I am pondering regarding implementation. (1) From my power source to the relay terminals (87). I would like to run a single 12 ga wire from the front of the aircraft where the ANL holder will be located and make a "Y" once I get near the relays for connection to each relay 87 terminal. Best way to fashion the "Y" ? My experience so far seems to say I cannot do a double wire splice/crimp with 12 AWG in a yellow connector. Similarly I would be doing the same thing with the gnd terminals (87A) so I could run a single ground wire forward to my firewall ground. So my question is how best to join two 12 AWG wires to a single 12AWG wire to fashion a "Y". I do have solder sleeves big enough...if that is acceptable? Open to any other ideas. 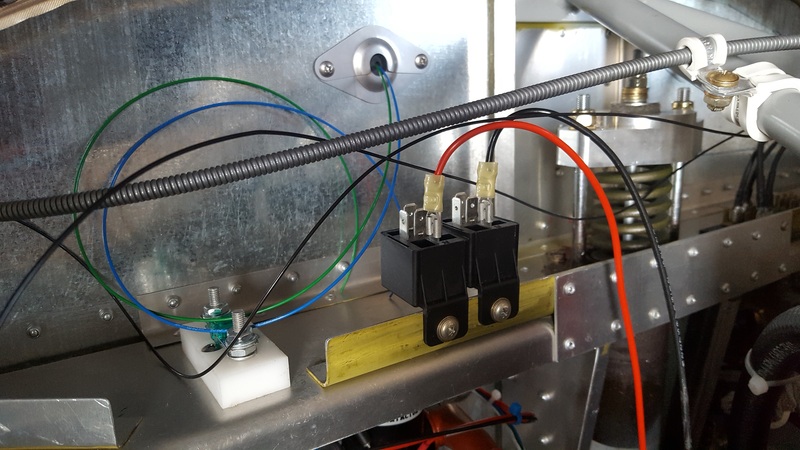 as practical and simply run two wires to the motor? all the wires on the ship-side really short. that same reason . . . two terminals on one stud. 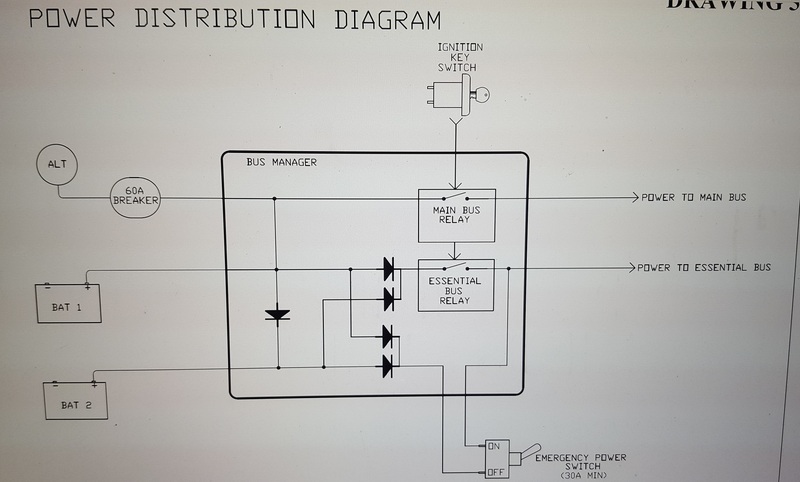 (2) What is the electrical symbology between the relay terminals (30) to the motor - best I can ref is some sort of light indicator? (3) OK to crimp the diode leads in with the 22AWG terminals? the pre-wired socket doesn't work. craps or a relay goes toast? Thanks for the dialog and insight Bob! Will advise when in receipt of the "care package"
My guess is that it is a splice. Getting ready to do the wiring this week with the above items and diagram. Slight fly in my ointment here, hence I'm looking for some guidance. I need to pick up power for the MANL30. 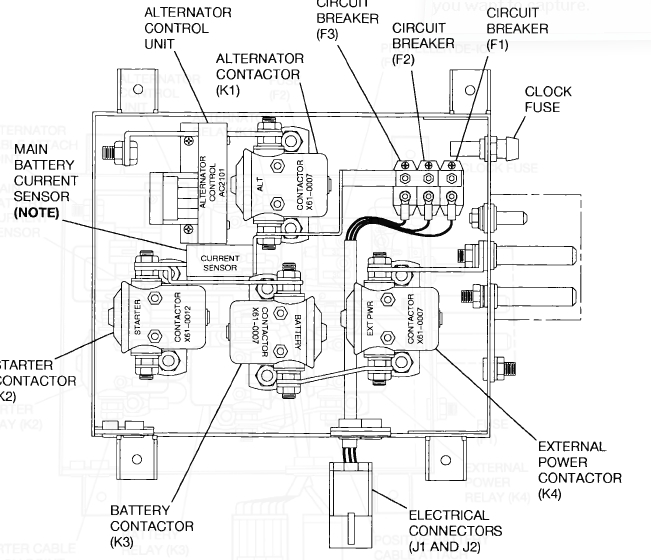 Drawing has power source coming from Battery Contactor. I do not have such!! 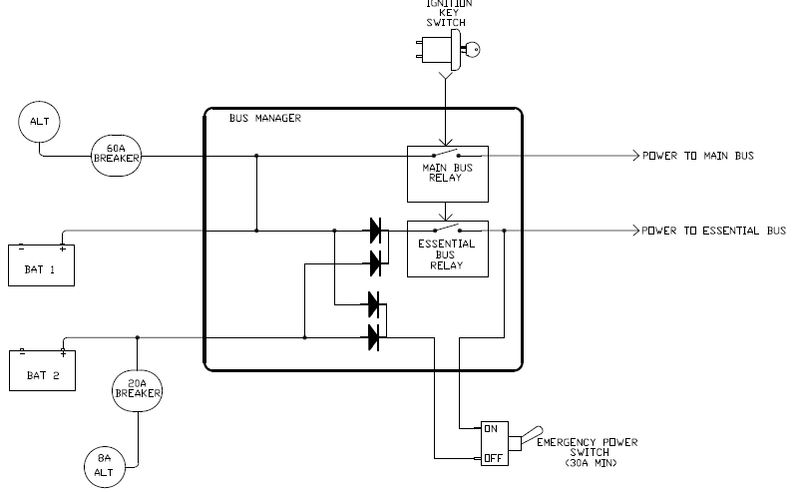 I am using the EFII Bus Manager which runs the Alt and batteries through two switched relays for powering my busses. The primary bus relay is rated up to 40A and the endurance bus relay for 30A. Thinking I need to tap into the power off the primary bus. Any agreement or disagreement regarding this? Attached is a pic of the power distribution from the Bus Manager. be able to shut off all power as close to the source (batteries) as possible. I'm mystified as to the rational for this architecture. and leave it hot all the time too. 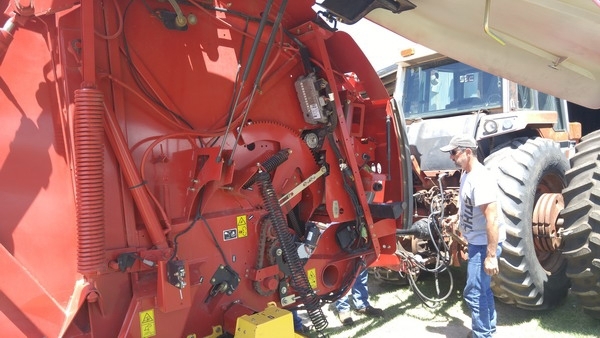 your hydraulic pump feeder to the system. Even includes the ground power connector! application for the greatest number of builders. for such matters in these products. but it's a really scuzzy band-aid. the whole box must be sent back to the manufacturer for repair, if they are still in business. mechanic can troubleshoot. Fuses are just as easy to install as the electronic box and cost a whole lot less. Being able to view the current draw of each circuit on the EFIS screen is a nice feature. But wouldn't it be better to be looking out the windows and to do troubleshooting when on the ground? Good point Joe, regarding future maintenance considerations. But that is not a safety issue. Bob said that the Bus Manager is poorly designed in that it appears to him that a proper FEMA analysis was not conducted. I'm not arguing the point, but I do think such a statement should be accompanied by the specifics that back up the opinion. (Much the same as if someone declared Bob's OV module is poorly designed without providing any specifics.) Incidentally, the "newfangled" OV module suffers a similar problem of very limited availability. Nothing lasts forever, including the newfangled electronic bus managers. When something goes wrong, the whole box must be sent back to the manufacturer for repair, if they are still in business. Compare that to conventional wiring when a fuse blows. Yes, electrical knowledge is required to figure out why the fuse blew. But the aircraft is still flyable without that one circuit, which any mechanic can troubleshoot. Fuses are just as easy to install as the electronic box and cost a whole lot less. Being able to view the current draw of each circuit on the EFIS screen is a nice feature. But wouldn't it be better to be looking out the windows and to do troubleshooting when on the ground? a deal" on a new hay baler. $thousands$ in discounts. 20 year old JD bailer that was supposed to get retired. go roll up that hay." Wichita . . . they would be in tomorrow. field spitting out thousand pound bales of feed. feed out of the field before it got too dry. not have been refurbished for a whole lot less money. were in possession of the owner! drive a nail is with a hammer." Unfortunately, the VAF forum owner considers his profit margin more important than the service his members supply (for free), so all the images have disappeared. But you should be able to get some idea from just the text in that thread. The response of Robert Paisley (face of Bus Manager's parent company) is that 'there have been no failures so far, so move along; nothing to see here'. You can kludge stuff around it to make the total a/c system somewhat less vulnerable to single failures in the Bus Manager taking down the whole system, but why pay the big bucks, only to have to do that? ​Star Trek's Scotty ​said it best: The more complicated they make it the easier it is to destroy. OK, I'm not accurate in the quote, but you get the idea. Great discussion and certainly worth consideration of the points alluded to here and specifically mentioned on the VAF forum thread. I do believe if I ever built another EAB airframe, I would be up to the challenge of doing the wiring to cover my systems and intended usage with way more insight than what I had prior to this first project. For now, my system is what it is, and the aircraft will be operated with consideration for the fault/failure potential. The risk I accept can be somewhat mitigated through thorough and particular attention to maintenance, favorable flight conditions, conservative operational usage and pilot training/proficiency. Eventually, I may even retrofit this airframe with a different engine and/or panel which would allow me to redesign the electrical system as well.